Mmm, chili. I know football season–classic chili time–is over, but screw the seasons. 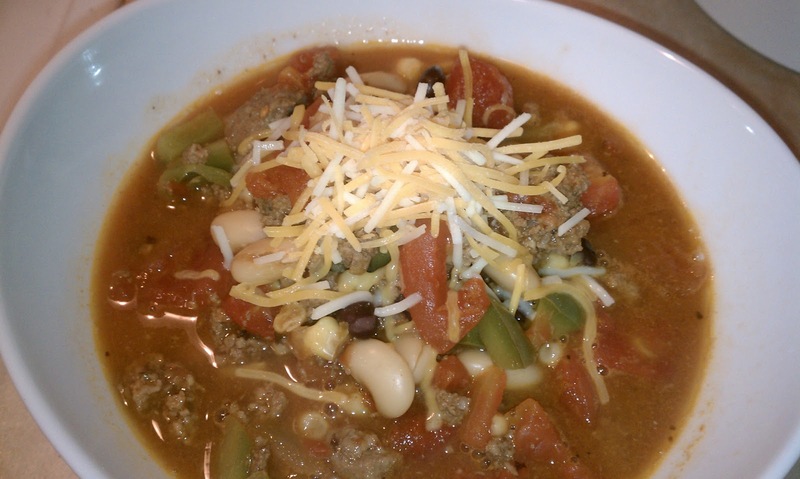 You should eat chili any time you want. Because it’s delicious. (Sorry, I’ve been watching a lot of Parks & Recreation lately so I may be channeling a little Ron Swanson there). So delicious in fact, that when the BF and I hosted a big Mother’s Day to-do at our house last weekend, I made this chili (doubling the recipe below to feed all 12 of us). It was a big hit! 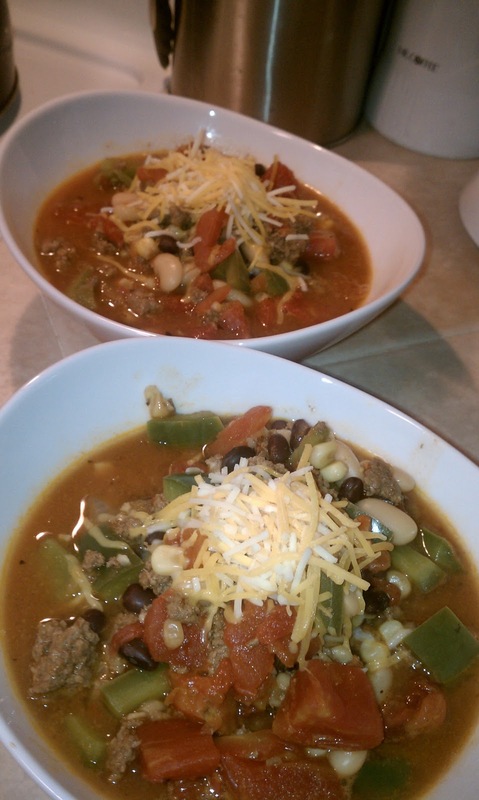 This chili is made with ground bison, making it a leaner and lighter option than standard chili. I also add in a ton of veggies, which play dual roles in adding great nutritional value and–more importantly–great flavor. And, making up a big pot of soup means figuring out what to take for lunch is made an easy choice for a few days! What’s the difference between bison and buffalo? On food labels and restaurant menus they appear to be synonymous, but just know that a bison is the bearded creature of the classic American west, whereas the buffalo is his beardless African and Asian cousin. In a dutch oven or large stock pot cook the bison over medium-high heat (add no oil to the pan). Stir to crumble as it cooks and set aside. Drain any fat from the pot and return to the stove. Add the canola to the same pot and turn the heat down to the medium. Add the onion, garlic, cumin, chili powder, and oregano and stir well to combine. The spices will distribute themselves around the garlic and onion pieces and give your chili a consistent flavor throughout. Cook for a few minutes, until the mixture is fragrant and the onion is translucent. Add the frozen corn and cook for five minutes, stirring regularly. Add the diced bell pepper and zucchini and cook for 3-5 minutes so the pepper begins to soften. Add the canned tomatoes with their juices and let the mixture bubble (there is no need to adjust temperature). 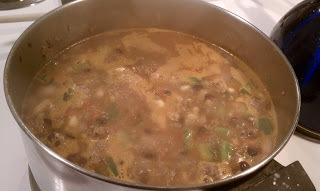 Add the bison back to the pot and add in the chipotle pepper, tomato paste and beans. Stir to combine and let cook for one minute before adding the water. Bring the pot to a boil. Cover, reduce the heat and simmer for at least 10 minutes before serving. Cook uncovered for two minutes. Then spoon into bowls and top with 1 dollop of grated cheese. bell peppers, bison, black beans, buffalo, leah charney, stews/soups, tomatoes. Bookmark the permalink. Post a comment or leave a trackback: Trackback URL.